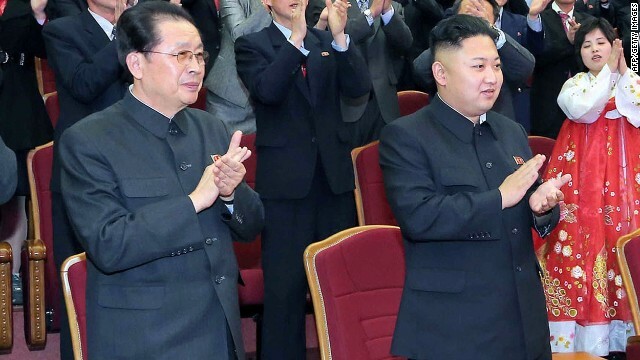 This file picture taken by North Korea's official Korean Central News Agency (KCNA) on April 15, 2013 shows North Korean leader Kim Jong-Un (R) applauding at the Unhasu orchestra concert at the People's Theatre in Pyongyang to celebrate the 101st anniversary of the birth of late leader Kim Il-Sung, as his uncle, Jang Song-Thaek (L), looks on. North Korean leader Kim Jong Un on Wednesday praised the recent purge of his uncle and former protector, saying it brought greater unity within the secretive, nuclear-armed state. "In the seething period of the effort for building a thriving country last year, we took the resolute measure of removing the factionalists lurking in the Party," Kim said in a New Year's address, referring to the North's ruling Workers' Party of Korea. "As our Party detected and purged the anti-Party, counterrevolutionary factionalists at an opportune time and with a correct decision, the Party and revolutionary ranks were further consolidated and our single-hearted unity was solidified to the maximum," Kim said, according to the text of the speech carried by North Korean state media. 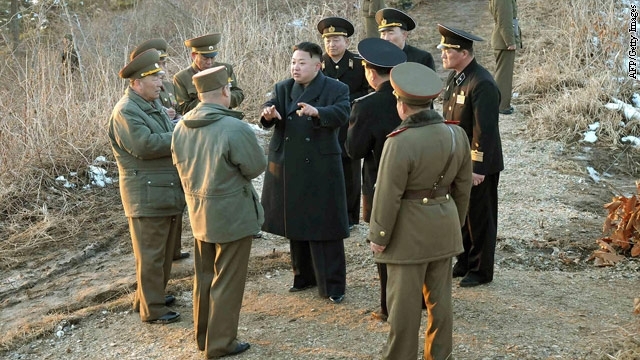 The purged uncle, Jang Song Thaek, was considered instrumental in Kim's rise to power in December 2011 and, until recently, was regarded as the second-most powerful figure in North Korea. But the young leader turned his back on Jang in spectacular fashion late last year, having him executed last month on charges he tried to overthrow the government. As the shock sinks in of North Korea's extraordinary announcement of the execution of leader Kim Jong Un's uncle and former protector, government officials and analysts are trying to decipher what the brutal move means. The ruthless disposal of Jang Song Thaek - Kim's uncle by marriage who had, until recently, been regarded as the second-most powerful figure in the secretive, nuclear-armed nation - has serious implications for North Korea, its neighbors and the United States, observers said. But exactly what is going on inside the notoriously opaque North Korea regime remains as murky as ever. "We don't have a clear sense of this at all," said Victor Cha, a senior adviser at the Center for Strategic and International Studies who represented the United States in nuclear talks with North Korea. President Barack Obama and South Korean President Park Geun-hye said Tuesday nuclear aggression from North Korea has further isolated the region and vowed to use all means to deter further provocations. 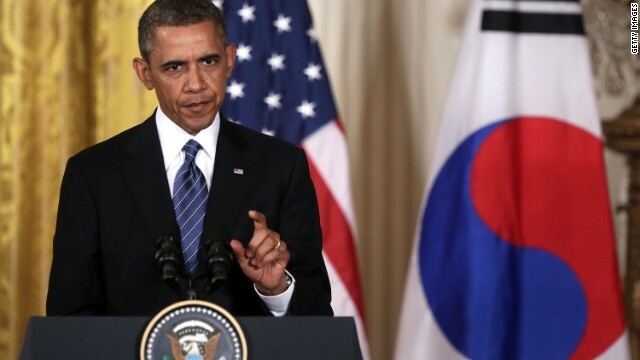 "If Pyongyang thought its recent threats would drive a wedge between South Korea and the United States or somehow garner the North international respect, today is further evidence that North Korea has failed again," Obama said during a joint press conference with the two leaders. "The United States and the Republic of Korea are as united as ever ... North Korea is more isolated than ever." Obama said North Korea's manufactured crises will no long elicit concessions and committed to protecting the United States and its allies. "The United States is fully prepared and capable of defending ourselves and our allies with the full range of capabilities available, including the deterrence provided by our conventional and nuclear forces," Obama said. "The commitment of the United States to the security of the Republic of Korea will never waver." President Park, South Korea's first female president, said she will "by no means tolerate North Korea's threats and provocations, which have recently been escalating further." Despite the uproar over a disclosure this week of Pentagon intelligence concluding North Korea may be able to deliver a nuclear weapon on a ballistic missile, it's not the first time the Defense Intelligence Agency has suggested Pyongyang had that capability. Since 2005, two former DIA chiefs have raised the possibility during congressional testimony. At a Senate Armed Service Committee hearing in April 2005, then-DIA director Vice Admiral Lowell Jacoby acknowledged the possibility in response to a question about whether North Korea had the capability to put a nuclear device on a missile. "The assessment is that they have the capability to do that," Jacoby said. Imagine the North Korean regime has toppled, either because the U.S. or South Korea take it out, or because of a coup, and the U.S. has to surge troops to secure the country's nuclear stockpiles to make sure they do not fall into the wrong hands. The frightening scenario was played out at the U.S. Army War College recently, and it did not end well. The military sets the scene in the fictitious land of "North Brownland," essentially an alias for North Korea. Who is bankrolling North Korea? From missiles to methamphetamine, there is an intriguing list of items the North Korean government sells in order to stay afloat. CNN's Chris Lawrence takes a look at the money trail. Who is the power behind North Korean leader? Who really runs North Korea? Trading companies and the aunt and uncle of North Korean leader Kim Jong-un are part of the power structure behind the North Korean throne. Chris Lawrence reports. In North Korea Friday, CNN’s told, two medium-range missiles are in their launchers, loaded and ready to go. The White House says it won’t be surprised if Kim Jong Un orders those missiles to be fired as a test of his military power. The communist leader is sending all sorts of signals about his next move and when it might happen, including an ominous new warning to foreign diplomats. To give us the global view on this unfolding story, our Pentagon Correspondent Barbara Starr. U.S. troops stationed in South Korea, less than 20 miles from the border with North Korea, bases in Japan and Guam are all targets for North Korea's missiles. Chris Lawrence reports on how and where North Korea would strike U.S. troops. A former senior US official, who recently retired, says North Korea is a difficult target for the intelligence community but "the coverage is very extensive using national technical means: imagery, intercepts and other means." The official said, "It's hard to get in there, but we do have external capabilities. Looking, listening and watching are all in play." Moving a missile to the east coast is "very discernible", the official said, even on mobile launchers. The mobile launchers are more difficult–one or two might get through, the official said, but North Korea has limited routes to take whether by rail or road. "It's not a large country with an intricate transportation system." What is difficult to ascertain is its uranium enrichment program. It could be buried in underground facilities where there are no air samples, nothing to collect. There are other shortfalls for gathering intelligence on North Korea, in particular a lack of human intelligence, the official said. "We don't have physical access, minimal, if at all," the official said.